Segment One: The guys discuss hot British exports. Jason's going to a concert. TJ checks out and falls in love with Voltrom on Netflix. Jason and The Flash...? Not so much. Segment Two: FGS presents a 7 year old New York capitalist pig getting put in his place by the beloved county government (yay snar-casm!!!). The guys discuss the "skirmish of the sexes" involving Boy Scouts, Girl Scouts, life skills, shooting, and The Food Network. HOT TAKES covers the depressing trailer for DC's Titans, Fathom Events is running Transormers: The Movie in September and TJ is pissed that it's not playing in town (a road trip and strippers may be in order!!! ), and it's pop quiz time as Jason tries to come up with the 25 All Time Highest Grossing Films. It's educational and condescending! 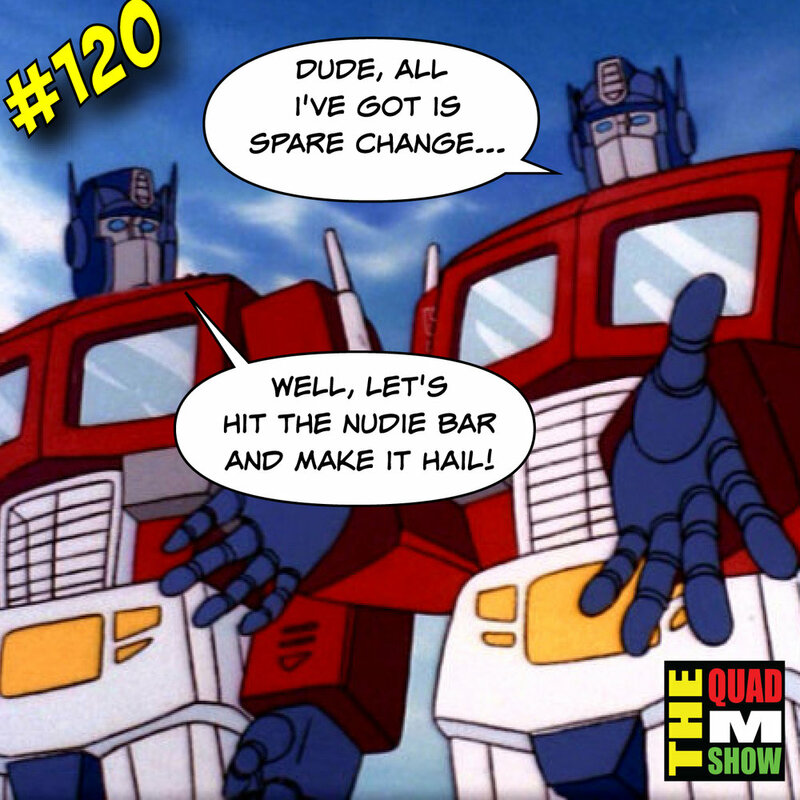 It's THE QUAD M SHOW! Posted on August 6, 2018 by Thomas Damon.